Apparently the subject of music and reaching for the stars is a generation-spanning leitmotiv and characteristic with the Schieferdecker family, literally and figuratively speaking. Therefore, it is no surprise that Markus Schieferdecker processes and reinterprets his great-grandfather’s music in his very own idiosyncratic way on Asteroid 788. (Incidentally, Johann Christian Schieferdecker was a contemporary of Johann Sebastian Bach and successor to famous Lübeck cantor and church musician Dietrich Buxtehude). 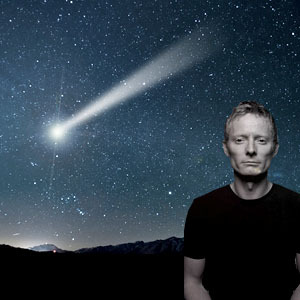 „Furthermore, I want to play original pieces which are either connected to my ancestor or revolve around the topic of asteroids and space“, Markus Schieferdecker elaborates. Join in on a fascinating and entertaining space adventure somewhere between old-school and contemporary jazz and the tonal cosmos of Baroque sacred music.